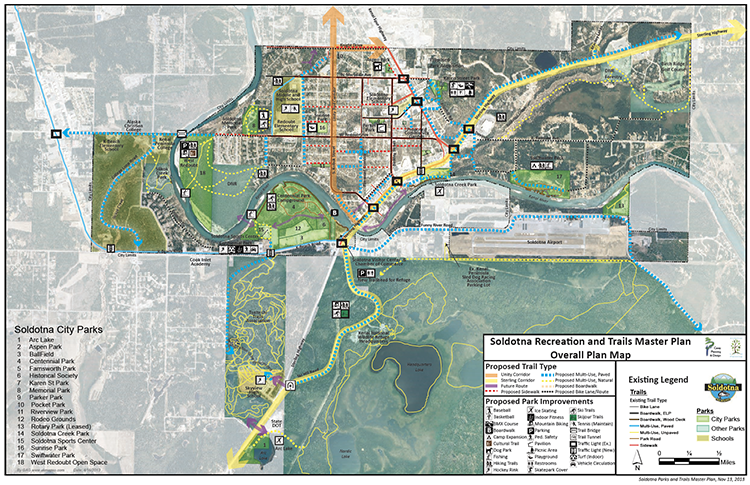 This plan provides the guidance, inspiration and detail necessary for managing additions, modifications and maintenance of Soldotna’s diverse recreation facilities – campgrounds, boardwalks, fish access stairs, rodeo grounds, Soldotna Sports Center as well as more traditional community parks and ball fields. The plan is based on shared visions and priorities of the community and provides a broad range of development options based on willingness and ability to fund new initiatives. A collaboration with Casey Planning and Design.